We'll admit it's tough to push away our Scott's of Wisconsin Beer Cheese Spread. 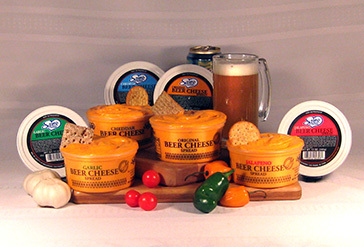 With the twin temptations of real beer and 100% Real Wisconsin Cheddar how can you say no? 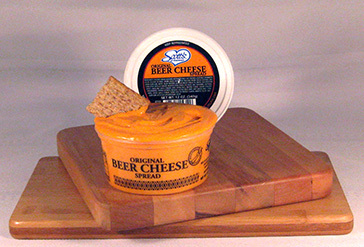 This delicious cheese spread has a rich flavor that is deepened by the addition of beer. Its creamy texture makes it an all-around fantastic cheese spread that goes fantastic on crackers, vegetables and in recipes. 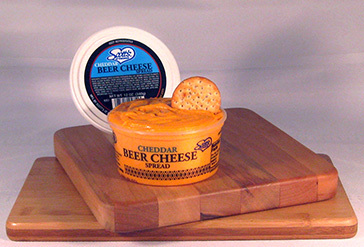 The four flavors of beer cheese were developed to appeal to every cheese lover and give them just a little bit more of their favorite flavors. 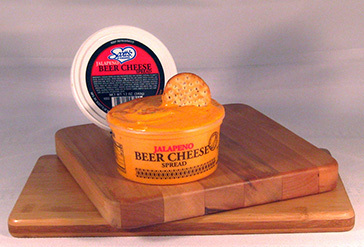 Our original beer cheese spread has some serious kick to it and is actually spicier than the jalapeno cheese, which really highlights the zesty flavor of the pepper itself. 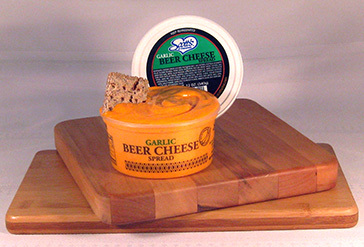 The garlic beer cheese works as well as a dip as it does a spread and is very popular with crudités trays. And our cheddar beer cheese spread is an obvious choice for most situations with a smooth and rich cheese that just bursts with flavor.